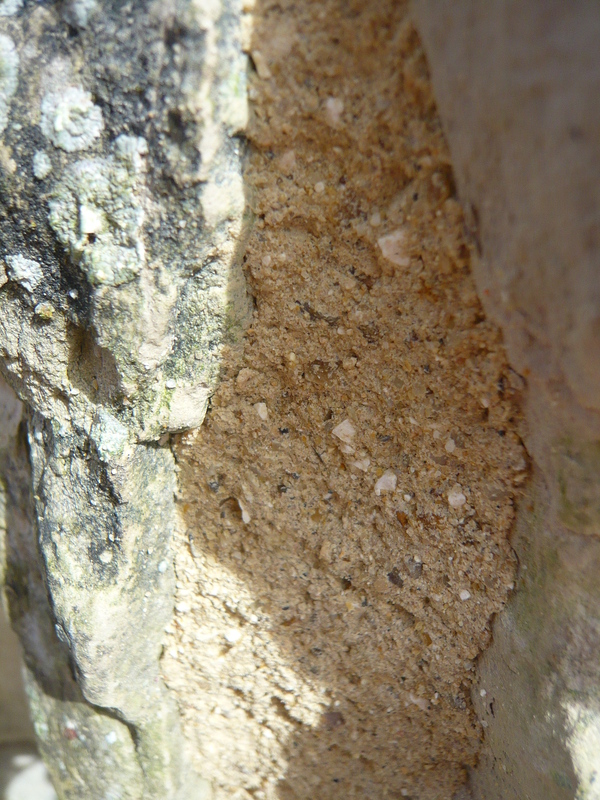 This week, Paul Coleman, Project Manager, talks about the mortar mixing process up at the Folly. At the Folly its just like the Isle of Wight, coloured sand of every shade and texture everywhere. 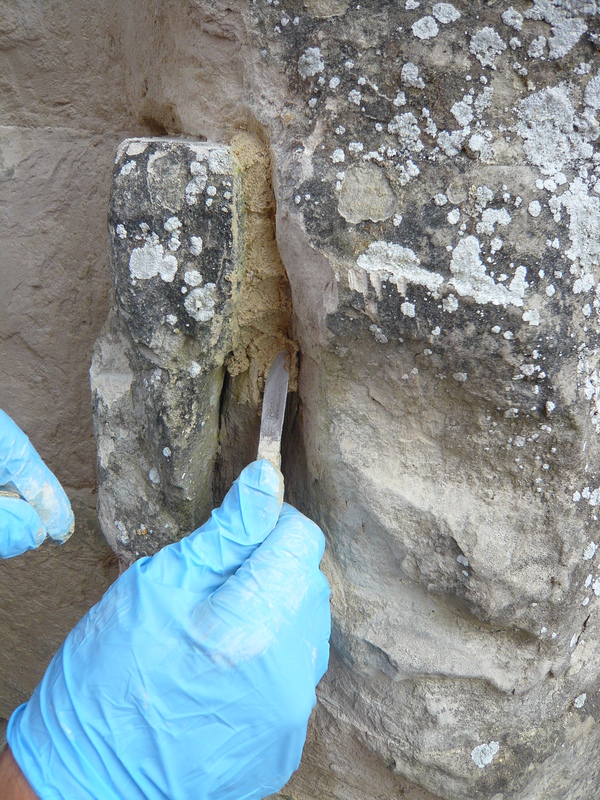 Conservation take on a scientific approach where we’ve been looking at mortars (the stuff that sticks the bricks and stones together). 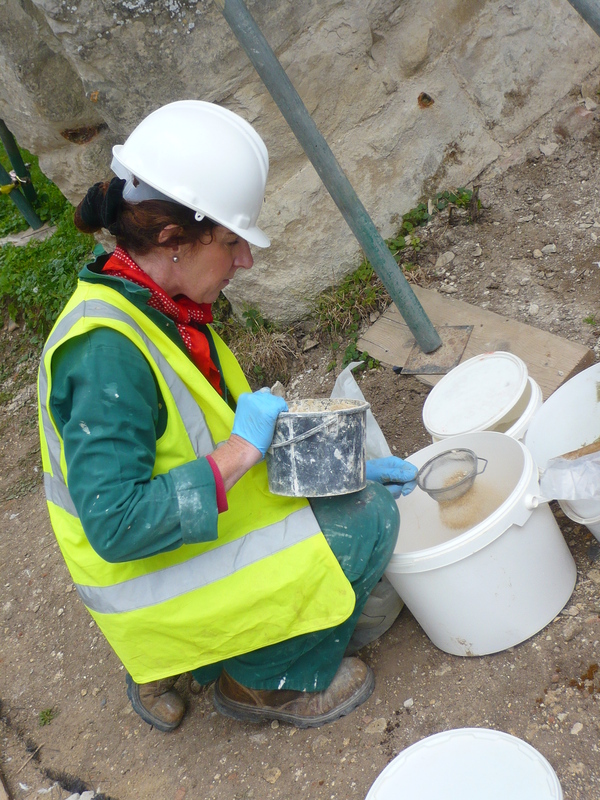 We’ve been sampling different old mortars in the laboratory, analysing them to determine their make up and ingredients. Taking samples of the material, setting them in resin and taking very, very thin slices of them – we then, under high resolution magnification, can see what they put in the mix. So by adding different colours of sand, different texture of material (gritty, lumpy or smooth), sands, bits and bobs we are replicating the existing historic/old mortars. The result is a light golden mix with lots of texture, quite rough but in appearance has lots of bits and bobs which give it a coarse surface. 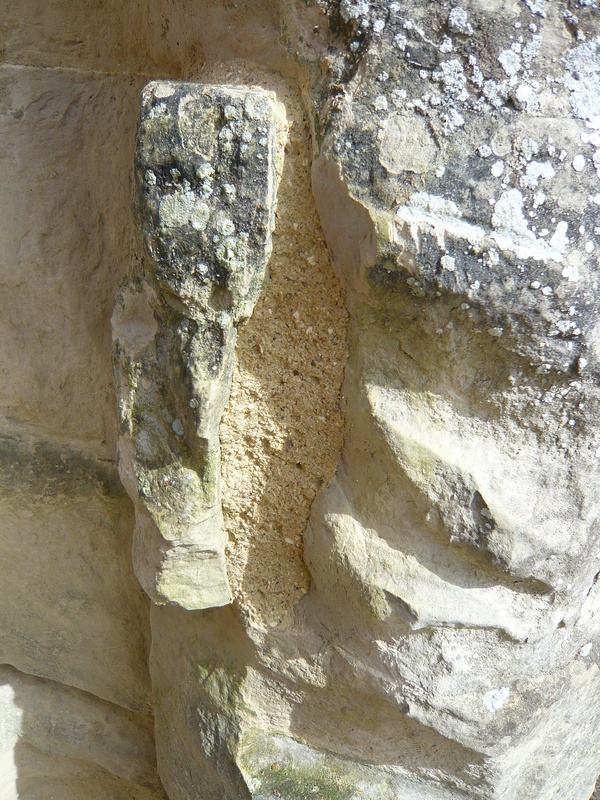 This is just one of the mixes being used and there are a number of different ones which we use for different locations and types of repair on the Folly ruin. So building is not all bish bash bosh, we do think carefully about what we are doing. The conservators use tools such as small hawk, mild steel pointing iron, brick jointer, water sprayer, small bucket trowel for application and hessian rag, soft and hard churn brush for finishing it. So why is it important to spend so much effort on getting it right ?, well not only do we want the walls to perform in the way they should. What is equally important is the visual character and interest, the colours, the texture – we spend a lot of time talking about the character of the building in conservation. Performance is important we need to make sure the mortar is breathable, and fits with its surrounding material (either stone or brick in the Follies case), it should not be too hard as will cause damage to the surrounding materials, it has to be tough based on its level of exposure (on the top of the walls we use a harder mix as it is more exposed to weather). 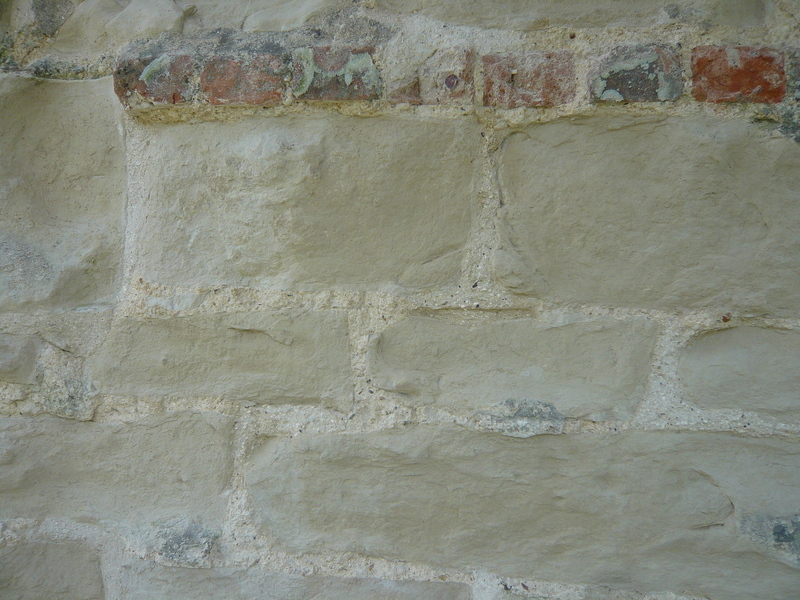 Its all about knowing where the mortar is to go and how it should perform. 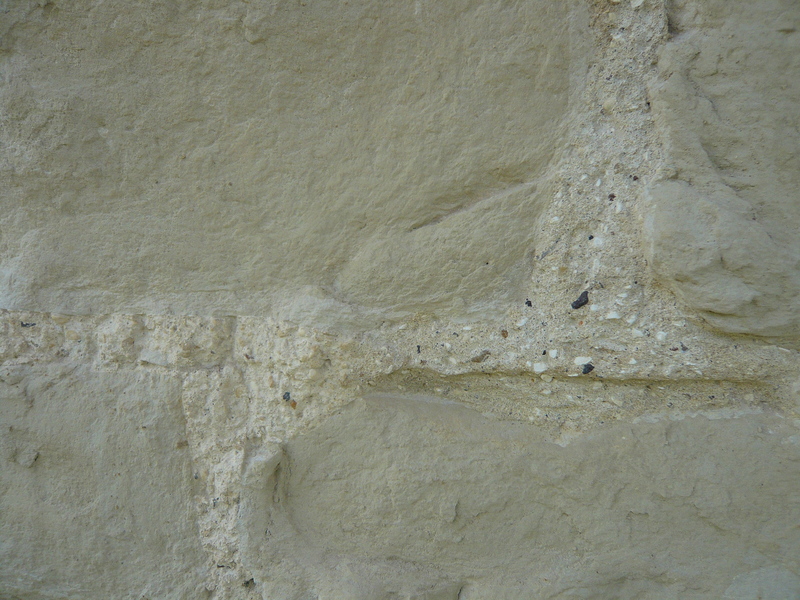 We need it to be compatible with the original historic materials also, so our mortar should have a vapour-permeability similar to, or greater than, that of adjacent historic materials, be visually compatible with surviving mortars and/or with the original appearance of the building and should reflect how the original building was put together and the methods used at that time. So a little about the materials….. Sand can come in a variety of colours (greys, blacks, greens, yellows, creams, oranges) Sands are usually described as “soft” or “sharp”. 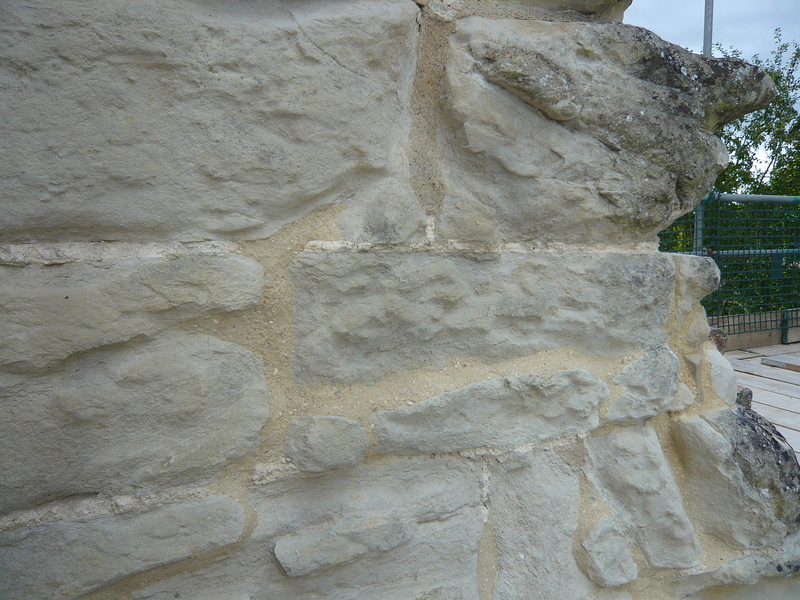 With lime mortars “sharp”, angular coarse sand provides good strength and if well-graded, aids water vapour permeability while “soft” sands often provide good colour – so we mix both to give different features. 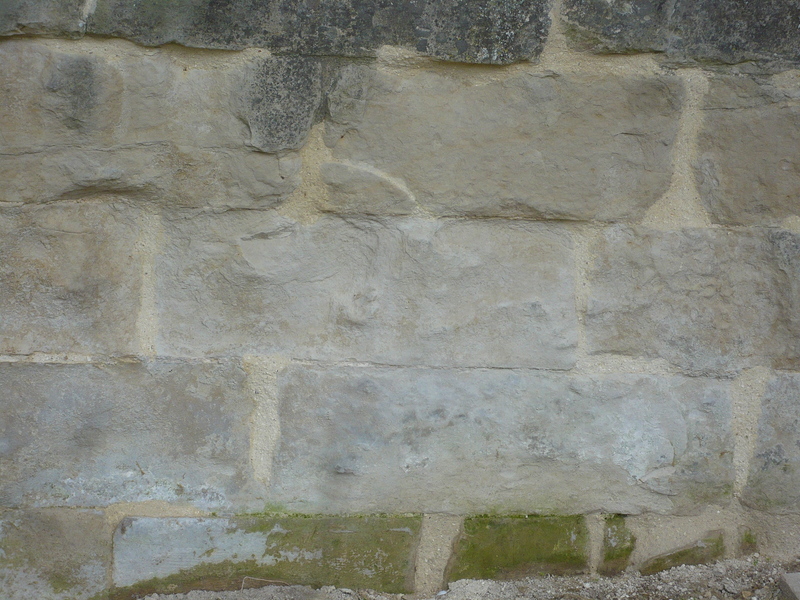 The lime, well this is another blog I’m afraid as this is the important stuff which binds the mix together and we select the type in accordance with the type of repair being undertaken. We use Hydraulic, non hydraulic, hydrated, Lime putty in tubs and each come with a hardness rating….. very confusing…. 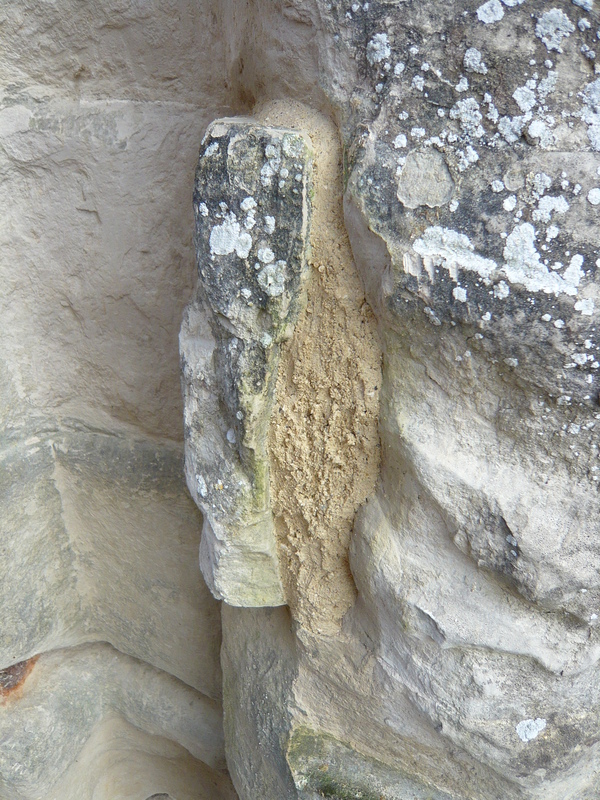 Grit and scalping’s add texture, the lumpy black, grey and amber colours . . . This entry was posted in Buildings, Conservation, Landscape, Uncategorized and tagged conservation, Folly, wimpole by ntwimpole. Bookmark the permalink. Me thinks Paul has made porridge but don’t tell him!